I am sure that many adults can recall the first time that their parents handed them a toy train set. It was the start of an obsession. Coming up with a number of different track layouts and sitting for hours in the day watching those trains go whirling around the track. Of course, for many people this obsession has continued into adulthood. 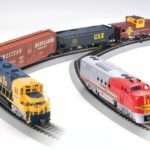 If you are looking to purchase a brand new toy train set for yourself or perhaps a child then this article will help you out! 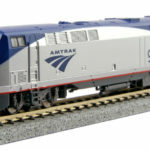 I will teach you exactly how you can choose the best toy train sets for your needs. 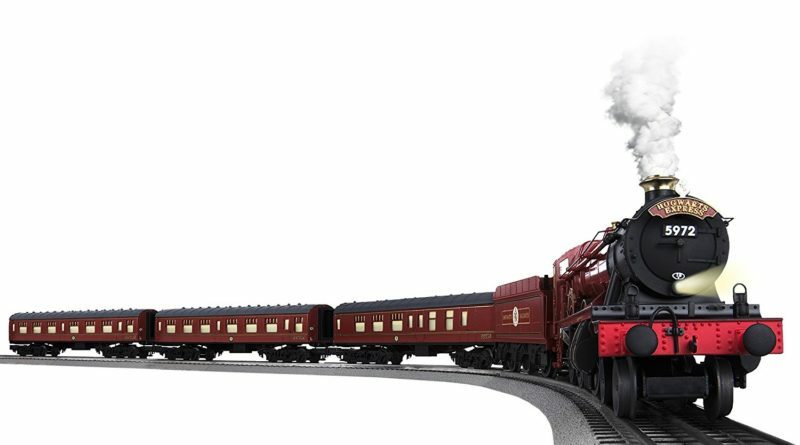 First things first, when you are searching for toy train sets you need to bear in mind the amount of budget that you have at your disposal. 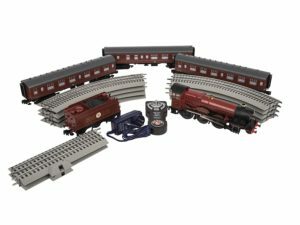 These sets can start off very cheap and go up to many hundreds of dollars. Generally speaking, when you are buying one of these toys you really do get what you pay for. 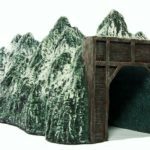 One tip here, if you only have a low budget you should only purchase from dedicated hobby retailers. All too often major toy retailers and supermarkets have toy train sets on offer for ‘extra special’ prices, but to be honest these aren’t any good. Therefore you are much better placed taking your money to a dedicated hobby retailer. 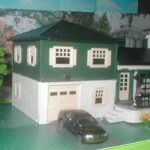 One of the most important things to bear in mind when it comes to purchasing toy train sets is the scale that you use. For the most part, once you purchase within a select scale you are ‘stuck’ with it. This is because all trains and accessories in the future will need to be purchased based on that scale. Thankfully though, with very few exceptions, the products from different manufacturers are interchangeable between scales. For smaller hands you want to be on the lookout for smaller scales such as ‘N’.It’s also quite nice if you have limited space. 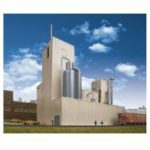 N scale Buildings and layouts take up much less space than the other Scales. Alternatively, if you want something with a bit more meat to it then opt for O Scale toy train sets and if you want to head outdoors then you may find that ‘G’ suits you more than the others. Of course, before you make your choice it would probably be worth heading online to browse through the options for scales and see what sort of accessories and trains are available. One of the main reasons why people purchase toy train sets, whether for themselves or for a child is because one of them is harbouring a passion for trains. This makes suggestions for the best manufacturers that difficult. Generally speaking you should choose your scale first like I mentioned before. Then you should choose your manufacturer. As long as you stick with one of the major brands as opposed to a generic supermarket brand then you should be fine. The main swinging point for you will most likely be the sorts of trains that they have on offer. If you are a lover of trains then a particular one may resonate with you more than another. Therefore you should find toy train sets that include this. It doesn’t really matter too much, it is mainly the scale which is going to have the biggest impact in the future. 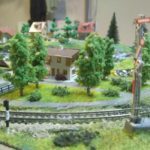 The power supplies available for toy train sets are becoming more and more complex. Generally speaking the cheaper train sets on the market come with ‘low end’ power packs. These will allow you to power just one train and at a push a couple of accessories. You will be able to control the speed and direction of the train but not much else. If you are just getting started in toy train sets then these basic power packs should be fine, however if you want to upgrade your set at a later date with more trains then you will need to upgrade your power supplies. 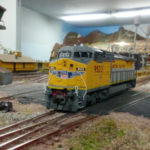 If you must go for ‘high quality’ when you first start out then those train sets which include power called ‘Digital Command Control’ should suit your needs for a short while, however bear in mind that when you purchase power in a set it is never going to be the most advanced. When you purchase a train set nowadays it is likely to be supplied with a moulded plastic base. This is fantastic for beginners as you lay it down on pretty much any surface and play with your train set. However, the downside is that these types of tracks are not interchangeable between manufacturers, even if you stick to the same scale. This is going to limit your expansion options somewhat. 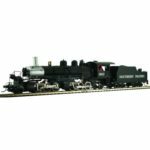 However, if you choose a pretty large toy train sets manufacturer it is likely they will have a lot of different types of track in their range which will keep you busy for years to come. Hopefully this has provided you with the right information that you need to go out there and start delving into the world of toy train sets! Honestly, this is a hobby that will keep you entertained for many years to come.